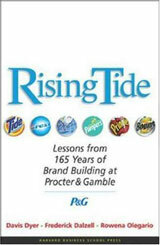 Despite emerging challenges and several divestments, P&G's total revenues continued to rise steadily in the 2010s, peaking at $84.17bn for the year to June 2013, up just 1% on the previous year. However net income came under greater pressure as a result of the increase in commodity costs, as well as higher marketing spend. After hitting highs of $13.4bn in 2009 (including a large gain from Folgers), net profits slid back in each of the two following years, shedding 9% in 2012 to $10.76bn. That figure included a $1.58bn impairment charge against professional haircare operations. For the year to 2013, there was a 5% recovery to $11.31bn. A series of further disposals reduced revenues for the year to June 2014 to $83.06bn, though on a comparable basis, sales from continuing operations were up marginally by 0.6%. Organic sales excluding exchange rates were up 3%. Net income recovered to $11.64bn. Further disposals, as well as the impact of exchange rates, cut into revenues for the year to June 2015. Reported topline slipped back below $80bn, to $76.28bn, while net income slumped 40% to $7.04bn, the lowest level since 2006. Performance was undercut by numerous factors including higher costs, a $2bn charge against its Venezuelan subsidiary, another $2bn on impairments and a $1.8bn loss from discontinued operations. At constant rates, organic revenues edged up 1%. Disposals and currencies made a big dent in revenues for the year to June 2016, with topline tumbling to $65.30bn. That was down 8% year-on-year on a comparable continuing basis, but represented the lowest reported revenues for P&G since 2005, when the group acquired Gillette. Excluding divestments and currencies, the group claimed an overall organic sales increase of 1%, with positive growth in all reporting segments. Without the impact of impairments and losses on discontinued operations which affected the previous year, net income powered up by 48% to $10.51bn. There was light, finally, at the end of the tunnel for Procter & Gamble in ye 2017. For its final quarter, a 2% organic sales gain was counterbalanced by negative 2% currency effects, but the long-suffering beauty division reported a 5% organic lift; so did the huge fabric & home care division. There were 1% declines in grooming and health care and baby & feminine was flat. Full year results were also flat, with the same tension between currency decline and organic gain. Revenues were more or less unchanged on a reported basis at $65.06bn (but up 2% organic). Far more satisfactory was the 46% jump in net income to $15.33bn. The group generated 42% of revenues from the US (and another 3% from Canada and Puerto Rico combined). Its next biggest single country is China at 8%. Europe accounted for 23%, other Asia Pacific markets for 9%, Latin America 8% and the India/Middle East/Africa group for 7%. Walmart is the group's biggest global customer, accounting for 16% of revenues, or $10.4bn in ye 2017. There was only minimal progress in P&G's turnaround for ye 2018. Revenues came in at $66.83bn as a 2% gain from currencies boosted a mere 1% improvement in organic sales. However the beauty division continued to improve, though it was offset by declines in grooming and baby, family & feminine care. A $600 negative impact from new US tax regs and the absence of the prior year's gains from discontinued operations caused net income to fall by 36% to $9.75bn. Following his appointment as CEO in 2000, Alan ("AG") Lafley was responsible for orchestrating a spectacular rejuvenation of P&G after several years of stagnation. Over the next nine years he effectively doubled the group's revenues as a result of a series of bold and generally successful acquisitions, and established a strong presence at the higher end of the beauty and personal care market. He stepped down as CEO in July 2009 and was replaced by group chief operating officer Bob McDonald. Lafley passed over the role of chairman to McDonald as well from January 2010. Clayt Daley retired as CFO at the end of 2008 and was replaced by Jon Moeller. (Moeller also added the title of COO in 2018). Yet Bob McDonald's reign was marked by a sharp decline in performance as growth stalled and costs soared. Under increasing pressure from investors, the board announced McDonald's resignation in July 2013, and the reinstatement of the 66-year-old AG Lafley. Since Lafley was already past retirement age, one of his key tasks over the next few years was to find a suitable successor to take over the baton. The return of Lafley highlighted one of the other serious problems which had emerged under McDonald's command: the departure of several other potential leaders from P&G's senior ranks. McDonald's main rival for the top job, Susan Arnold, departed the group in 2009 as soon as it became clear that she would not be named CEO. In 2011, Dimitri Panayotopoulos was appointed as group vice chairman, global business units, with reporting responsibility for all the group's brand businesses, effectively introducing a new layer between previous divisional bosses and the CEO role. That probably contributed to the departure of several other managers. Ed Shirley, previously head of global beauty & grooming, resigned to become CEO of Bacardi; "Chip" Bergh quit to become CEO of Levi Strauss; Christopher de la Puente took the top job at LVMH's Sephora division. As a means of evaluating a new generation of CEO candidates, newly returned Lafley announced a reshuffle of the group's global business units in June 2013, elevating four executives to a position as potential candidates to succeed him as CEO. These were Martin Riant (group president, global baby, feminine & family care), Deb Henretta (group president, global beauty), David Taylor (group president, global health & grooming) and Giovanni Ciserani (group president global fabric & home care). In Jan 2015, with beauty still under-performing, Taylor was handed additional responsibility for that division as well as grooming & health, a move which appeared to put him in pole position to succeed Lafley. Deb Henretta moved at the same time to a newly created position as group president, ecommerce, before quietly leaving the group. Patrice Louvet moved up to president, global beauty, reporting to Taylor. It was David Taylor who finally secured the elevation to the top job. In July 2015 the group confirmed that he would become CEO of Procter & Gamble from November 1st, with Lafley moving up to the position of executive chairman. In July 2016, Taylor became chairman as well, allowing to Lafley to retire for the second time from P&G. Several of Taylor's rivals for the CEO role also departed. As of early 2017, the main divisional leaders are Giovanni Ciserani (group president, fabric & homecare and global baby & feminine care), Mary Lynn Ferguson-McHugh (group president, family care and global brand creation & innovation) and Charles Pierce (group president, global grooming). P&G Beauty president Patrice Louvet resigned in May 2017 to become CEO of Ralph Lauren, and was replaced by Alexandra Keith, previously president, global skin & personal care. At the next level down are Thomas Finn (president, global personal health care), Steven Bishop (president, global health care), Fama Francisco (president, global feminine care), Shailesh Jejurikar (president, global fabric care) and George Tsourapas (president, global home care & P&G Professional). Werner Geissler retired as group vice chairman, and head of global operations at the end of 2014, along with several other executives, prompting multiple new appointments. As a result, the current senior team includes Carolyn Tastad (group president, North America selling & market operations), Gary Coombe (president, Europe selling & market operations), Juan Fernando Posada (president, Latin America selling & market operations), Magesvaran Suranjan (president, Asia Pacific selling & market operations), Matthew Price (president, Greater China selling & market operations) and Mohamed Samir (president, India, Middle East & Africa selling & market operations). Other senior central officers include Jeff Schomberger (global sales officer), Julio Nemeth (president, global business services), Kathleen Fish (chief technology officer) and Yannis Skoufalos (global product supply officer). Phil Duncan is global design officer, overseeing product design and packaging. The marketing team was headed for several years by James Stengel until his retirement at the end of October 2008. 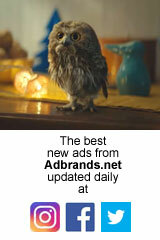 He was replaced by Marc Pritchard, now chief brand officer. That change led to further changes in the company's marketing line-up. Other senior officers in the marketing team now include Kirti Singh (VP, global consumer & market knowledge), Kristine Decker (director, North America media & brand operations), Tricia Jenkins (associate director, media operations & innovation), Ilonka Laviz (marketing director, digital brand-building strategy & global strategy). Gerry D'Angelo joined in early 2017 (from Mondelez) as global media director.